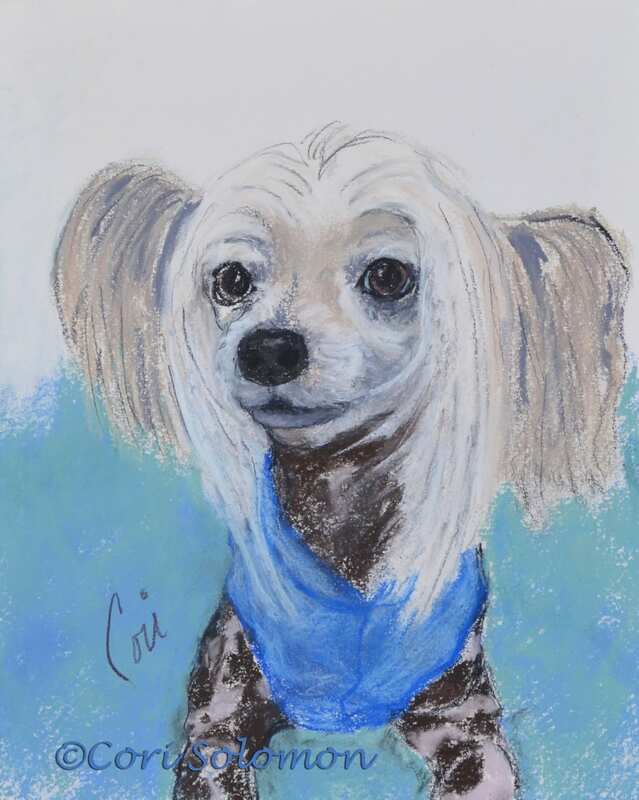 My latest commissioned pet portrait was of a Chinese Crested named Geppetto. The Chinese Crested comes in two varieties, the hairless and the ones with fur also known as the Powderpuff. In this dog portrait, I loved the wispy hair around the face. Geppetto is also known as the “Sheriff of Bottlebrush,” the street where he resides. We all know who the social ambassador of this street. I often find this true of many dogs in my neighborhood. We may not know the names of people we see walking their dogs on our streets, but frequently we know their dogs by name.